On Tuesday, November 4, the new Italian edition of the Michelin Guide for 2015 was presented, one of the most cited food reference guides in the world. The famous red guide dedicated to the best Italian restaurants this year celebrates 60 years and moves with the times, becoming even an APP that will be launched soon. The Michelin guide takes a look at a number of Italian restaurants, awarding the most deserving of the coveted Michelin “stars” (stars can be from one to three). Among more than 6000 restaurants rated by the reviewers of the guide, just over 300 this year have received valuable recognition, which identifies the true gastronomic delights in our beautiful country. There are great news, or more correctly “yummy good” news for Tuscan restaurants that will have foodies looking for new destinations during their time in Tuscany. 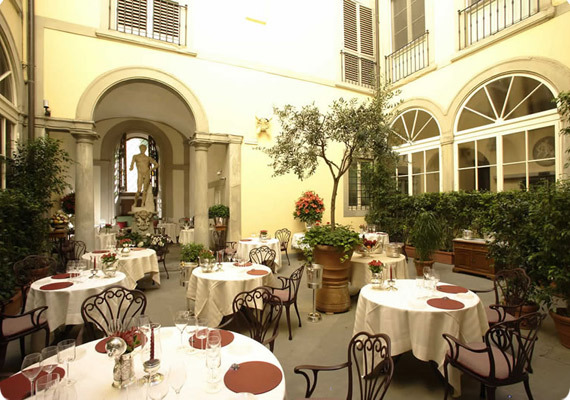 While the only Tuscan restaurant with the highest score, 3 stars, is yet once again, the Enoteca Pinchiorri in Florence (pictured in the photo above). Have you enjoyed a delicious meal at one of these Michelin-rated restaurants?